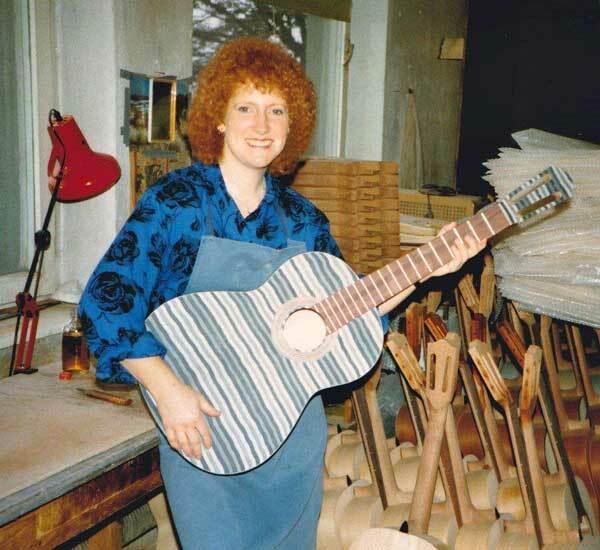 Evelyn Arand with a Trendstyle TS3 "Blue Zebra" that she was in the process of assembling in the Bubenreuth workshops back in 1989. 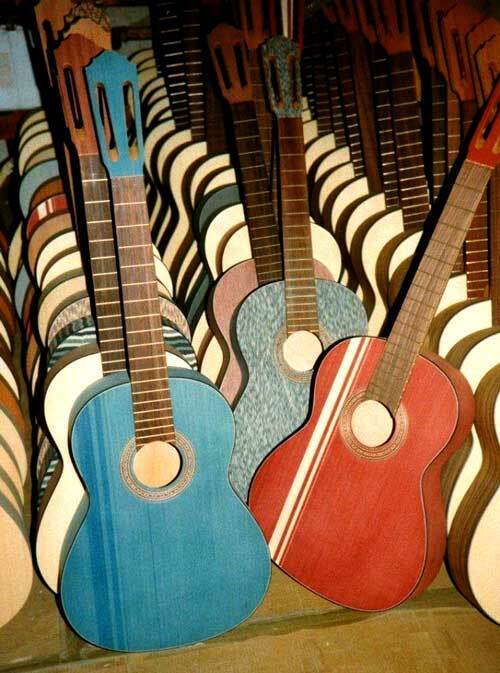 Trendstyle guitars waiting for final assembly. 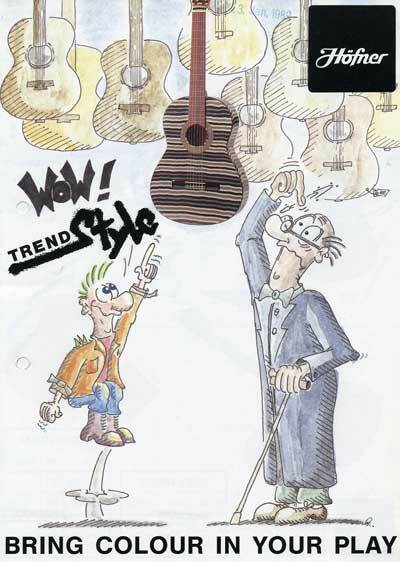 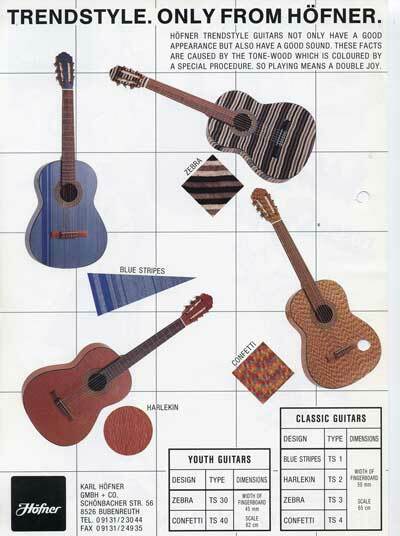 Note that "Red Stripes", "Blue Confetti", and a "Blue Zebra" finishes seem to have been offered in addition to the four styles shown in Hofner's catalogue below.